Traditional laptop and hard drive sales are declining, while smartphone and solid state storage sales soar. However, the change in product mix is raising warranty costs for some manufacturers such as Apple. In some ways, the computer industry is similar to the automotive industry. You have a handful of OEMs that put their brand names on the box, and a wide range of suppliers that make the major components and systems the OEMs sell. But there are also big differences. In warranty terms, the OEMs are finding that less in more. Specifically, as the form factor shrinks from desk to lap to hand, warranty costs are rising. And as companies such as Apple Inc. turn from computer manufacturers into smartphone makers, they're seeing escalating warranty expense rates. During the first nine months of 2013, Apple has paid more claims per month than either General Motors Co. or Ford Motor Co. In fact it's now paying out more than Hewlett-Packard Co. and Dell Inc. combined. Apple may now be the world's largest warranty provider, yet that label has little to do with computer sales. It's all about the smartphone. And so, keep that in mind as you read this computer warranty report: it's no longer about computers. As in years past, we started out with a list of 24 U.S.-based computer manufacturers and 42 U.S.-based manufacturers of data storage systems. And we started out with their 2003 warranty expense data, collected from their quarterly and annual reports filed with the U.S. Securities and Exchange Commission. By 2013, the list had shortened considerably. There were only six computer manufacturers and 15 data storage manufacturers left on the list, with most of the rest either acquired or out of business. The computer OEMs are led by Apple, HP, Dell, and IBM Corp. The leading data storage companies include Seagate Technology plc, Western Digital Corp., EMC Corp., NetApp Inc., and SanDisk Corp. The dearly departed include Gateway Inc. (acquired by Acer Inc. in 2007), Maxtor Corp. (acquired by Seagate in 2006), Palm Inc. (acquired by HP in 2010), and Storage Technology Corp. & Sun Microsystems Inc. (both now part of Oracle Corp.). Neither Acer nor Oracle report their warranty expenses publicly, so the	claims payments they continue to make are not part of this week's statistics. However, when the other acquisitions were made, the parent companies added their acquisitions' warranty expenses to their own, so they continue to be included in the charts below. In Figure 1, we've tallied the claims payments of the computer OEMs and the data storage companies over the 43 quarters from the start of 2003 until the third quarter of 2013. Note that the quarterly totals remain close to $1.5 billion for most of the period, then begin climbing in 2011. The quarterly total hit a new record of $2.2 billion in the third quarter of 2013. Normally, that would be a cause for concern, but as we'll detail in a bit, it's almost entirely caused by Apple's success with the iPhone. This may be the last time it makes sense to display a chart for claims paid by the U.S.-based computer industry, for three reasons. First, only 13% of Apple's revenue came from the Macintosh product line in the most recent fiscal year, down from 72% in 2003. Almost 75% came from sales of the iPhone, iPad or iPod. Second, Dell went private in October, so the financial report we're counting for the third quarter -- from its second fiscal quarter ended August 2, 2013 -- will be the last we'll ever see. Going forward, Dell will no longer report its financials to the SEC, so we won't know its warranty expenses for the rest of calendar 2013. Third, not only Acer and Oracle don't report. Neither do Asus, Lenovo or Toshiba. Sony and Panasonic report their warranty expenses annually, but those are mixed in with consumer electronics and other product lines. So by default, the list of leading U.S.-based computer manufacturers will soon be reduced down to just HP and IBM. The warranty accrual figures show a similar spike in recent quarters, which again we attribute to Apple and its iPhone. With this warranty metric the peak came in the first calendar quarter of 2013, when computer OEMs and data storage providers accrued more than $2.5 billion in warranty expenses. However, more than $1.5 billion of that came from Apple alone. And it's the culprit in other quarters as well. Its accrual during the months of October-December 2012 topped $1.35 billion, and its accrual during the months of July-September 2013 neared $1.4 billion. So Apple is now accounting for between half and two-thirds of the accruals in the entire industry, up from only 11% at the end of 2009. It's even moving the average expense rates. In Figure 3, we see an industry that had gradually reduced the percentage of revenue it spends on warranty expenses, from around four percent in early 2003 to around two percent in 2012. But then along comes the iPhone -- as fragile as a China doll -- with regulators in multiple countries insisting on two-year warranties. Sales rise, costs rise, and warranty expense rates stopped declining and changed direction. Both the OEMs' claims and accrual rates have now been above 2.4% for four consecutive quarters. That's not the highest they've ever been. But it is a change of direction, and we're blaming it on the smartphone. Desktops and laptops are more reliable and need less warranty work than before. Smartphones are less reliable and need more warranty work than the dumb phones they replaced. The data storage manufacturers, meanwhile, seem to have been able to both lengthen the duration of their warranties and reduce the percentage of revenue they spend on them. Expense rates were in the 1.7% to 2.7% range in 2003. So far in 2013 they've been in the range of 1.1% to 1.5%. Basically, the percentages in Figure 3 are derived by dividing the expense totals in Figures 1 & 2 by the corresponding sales figures (not shown). The reason the expense totals can remain steady while the percentages drop is because sales rise in the interim. The reason why the expenses can rise quickly but the percentages don't is because sales are rising faster than warranty costs. Therefore, although iPhone warranty costs are driving up Apple's expenses and Apple is driving up the industry's, the real story is about soaring sales, not manufacturing problems or increased defects. Apple's hardware sales were up 7% last year. Dell's hardware sales were up 3% for the quarter ending in August. However, HP's hardware sales fell 9% and IBM's hardware sales fell 15% in the first nine months of the year. So again, the story is all about Apple -- all about smartphone sales. The traditional computer industry isn't doing so well. In Figure 4, we're adding all the accruals and subtracting all the claims, and measuring the resulting balance left in the warranty reserve funds of all the industry players. With claims and accruals, there's a 90/10 ratio between the computer OEMs and the data storage folks. With reserves, it's more like an 85/15 ratio. But it's still very heavily weighted towards the OEMs. The computer and data storage companies had a record balance of nearly $7.3 billion in their warranty reserve funds as of the end of March 2013. The balance dipped below $7 billion in the second quarter and rose back above $7.1 billion in the third quarter. But again, it's all Apple. The company accounted for 11% of all industry reserves at the end of 2009. By 2013, its share was well over 40%. So let's take a closer look at Apple. Figure 5 shows just how recently and just how seriously the company's warranty expense rates soared. From 2007 until the end of 2012, most of its expense rates were measured between one and two percent. But in the first calendar quarter of 2013, Apple raised its accrual rate to 3.9%, and its claims rate rose above two percent for the first time since 2006. And of course, sales of iPhones and iPads are also soaring at the same time. The iPhone accounted for $123 million in sales in fiscal 2007. By 2010, the iPhone and iPad together brought in $30.1 billion. In the most recent fiscal year, ended Sept. 30, 2013, their combined sales were up to $123 billion -- a thousand-fold increase in six years! Then again, let's not get carried away here. The rise in warranty expense rates, while dramatic, is only an increase to a new range of 2.5% to 3.5%. That's where HP, Dell and IBM already are. So really, what Figure 5 is illustrating is the modestly upward effect the change in Apple's product mix is having on warranty expense rates as it becomes a hand-held equipment manufacturer. For some handheld manufacturers, the more they make the more money they lose, as warranty costs soar out of control. For instance, the year before HP acquired Palm Inc., the small company's claims rate rose above 17%. Research In Motion Ltd. now has a claims rate above seven percent. So Apple at 2.5% to 3.5% is hardly cause for alarm. Speaking of small changes, in Figure 6, there's been no real news in Dell's warranty expense rates in seven or eight years. But as we mentioned, this represents a farewell of sorts to the company's public data. From this point on, we will have to estimate the company's warranty spending, based on an established range of two to three percent that has persisted since at least 2006. In Figure 3, the gap between the claims and accrual rates of the computer OEMs and the data storage companies has remained close to 1.2% or 1.3%. In fact, in early 2005 they almost touched. So the difference between them has never been as great as can be seen in the automotive industry (the subject of the January 9 newsletter). However, while in the automotive industry the gap is narrowing, as the OEMs find ways to shift more of their net warranty costs onto their suppliers, here it is doing the opposite. In the last four quarters, the gap has averaged 1.5% or 1.6%. The reason, we believe, is because of changes in data storage technology. The storage systems going into smartphones aren't your traditional hard drives made by the traditional market leaders. And the traditional computer market segment that uses those traditional hard drives isn't doing too well. So you see a divergence between the OEMs and the data storage companies in terms of warranty expense rates. In Figure 7, the data storage market leader has seen its claims rates remain close to two percent for more than four years while its accrual rate remains below 1.5%. In fact, the 1.7% claims rate that Seagate turned in for the third quarter of 2013 was its lowest since early 2006. And in early 2012 its accrual rate dipped below one percent for the first and only time. Compared to 2008 and 2009, Seagate looks to be in really good shape. The fact that expense rates are low is all the more impressive given the slowdown that's also affecting the disk drive makers. Seagate's third quarter sales total was down 7% from 2012's level. Western Digital was down 6% from a year ago. EMC and NetApp, which are less about making components and more about selling systems, saw sales go up a bit. But in general, sales for the traditional data storage market leaders, as well as for the traditional computer OEMs, is declining. In Figure 8, we see the same thing: declining warranty expense rates in spite of declining sales volumes. Western Digital's latest claims rate of 1.3% is its lowest since late 2009. Its 1.1% accrual rate is the lowest it's ever been. And if sales are declining yet expense rates are also declining, that means warranty costs are falling meaningfully thanks to quality improvements. So there are really two trends to be seen in the data. First, the shift towards the smartphone is increasing warranty costs because the smaller size makes the units more breakable. Second, while the traditional laptop, desktop and hard drive makers are seeing modest sales declines, they're also cutting warranty costs by making a better product. There are some exceptions to those rules, however. SanDisk, with its new solid state data storage technology, saw sales soar 37% in the third quarter. And despite the jump in sales, it's keeping its warranty expense rates more or less level and close to 0.5%. In Figure 9, SanDisk's warranty expense record is a bit more chaotic and changeable than either Seagate's or Western Digital's, but it's also kept both its claims and accrual rates below one percent in 34 of the past 43 quarters. Does this mean solid state storage technology is less costly in warranty terms? It's too soon to tell. And it may be unfair to compare the technologies, given the difference in price per gigabyte. Seagate, for instance, sells an external terabyte hard drive system for about $90 retail. That's about the same price as SanDisk's 128 GB flash drives. For argument's sake, let's say Seagate's warranty expense rate is around 2.0%, or around $1.80 per terabyte. And let's say SanDisk's USB flash drives are on sale for $70 each. It would still take eight of them to equal a terabyte. So that's $560 in product cost. Even if the expense rate is only 0.5%, that's still $2.80 per terabyte. For a more apples-to-apples comparison, the first terabyte flash drives went on sale last year at prices around $1,400 apiece. If such a unit had an 0.5% claims rate, it would cost $7.00 per unit -- almost four times as much as a hard drive of similar capacity. So how should we make the comparison: dollars vs. dollars or cost per unit of capacity? There are numerous additional contributing factors such as size, power requirements, the number of moving parts, friction, heat, and noise that determine what type of technology is best in any given situation. Clearly, there are good reasons why most laptops use traditional hard drive technology while most smartphones use solid state storage. But all that's beside the point anyway. The change in storage technology is not the reason behind the higher warranty costs seen in handhelds. That's why the gap in Figure 3 is widening. And that's why SanDisk is seeing relatively stable warranty expense rates, while Apple is not. The Warranty Group celebrates 50 years in business. Insurance companies in India look at the smartphone insurance segment. Damage to South Bend's Century Center pavilion covered under warranty. New Leaf Service Contracts licenses PCMI's PCRS platform. Who offers the best car warranty in the UK? Tire expert suggests negotiating the price of a road hazard warranty. King Koil moves to 10-year replacement warranties. Driverz Edge president Robert William Roback allegedly embezzled extended warranty premiums. Driverz Edge president accused in $859,000 insurance scheme. Credit cards and home equipment breakdown coverage: alternatives to extended warranties. Security Coverage launches Tech Home service plans for ISPs to sell. Curtis International freezer warranty makes buyer pay freight charges. Tempur Sealy International plans 10-year mattress warranties. Alberta's New Home Buyer Protection Act takes effect Feb. 1. Warranty Direct Ltd. rejects auto air conditioner claim, then reconsiders. Extended Warranty conference scheduled for Sept. 16-17, 2014 in Nashville. American Water Resources offers service contracts in Charlotte NC. The Warranty Group and Safe-Guard Products International renew underwriting deal. New Jersey bill could increase warranty work costs in state. Don Bonano joins American Auto Guardian as Eastern Regional Vice President. BMW announces 5-year/100,000-km warranty for New Zealand. Haier extends the warranty on its air conditioners from 3 years to 5 in Thailand. Kentucky bill mandates new parts be used in car wreck repairs made under warranty. The Warranty Group denies burned-out dishwasher claim, then reconsiders. Asus increases product warranty period to 24 months in Nigeria. Expert suggests negotiating the price of a road hazard warranty. Aberdeen Group launches research survey on trends in field service. New Leaf Service Contracts experiences triple digit growth. 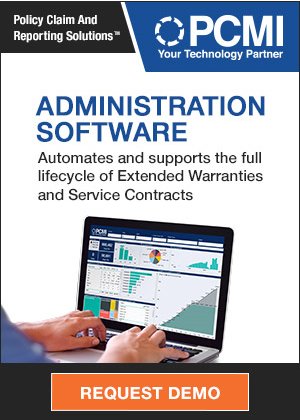 Global Warranty Group to provide service contract programs to SYMBITS. Overview of China's new 3Rs-warranty policy for domestic-use automobiles. Honda launches 5-year extended warranties in the UK. UK Warranty joint venture adds Nicola Sumner and Jon Negri to its board. Home warranties offer peace of mind. American Home Shield wins Best in Service Award from consumer review site. HomeWarrantyReviews.com announces Home Warranty Awards for 2013. McCusker & Co. to administer automotive furniture protection plans for Ultrashield. The Warranty Group signs multi-year service contract agreement with Micro Center. Fiat North America to acquire remaining 41% of Chrysler Group shares. Do you need an extended warranty? Here are the facts. 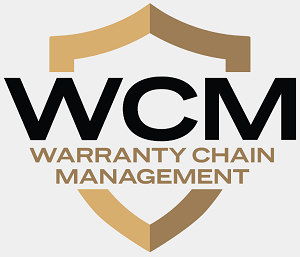 Keep detailed records of warranty claims. Should you register that holiday gift you just received? Product-registration cards aren't always needed for warranty coverage. Centurion Boats lengthens warranties from one to five years. What your manufacturer's warranty doesn't cover. Why Honda is a warranty wonder. UK retailer John Lewis offers iPad Air with free 3-year warranty. Navistar net loss nearly equals additional warranty accrual. Six UK retailers mislead customers over return rights for faulty goods. When you should (and shouldn't) buy an extended warranty. Ferroli Modena HE boiler now available with 7-year warranty. Ascent Resources to pay Global Power Sources in stock for warranty claim cost. Apple agrees to two-year warranties in Australia after ACCC wrist slap. Ceiling fan had lifetime warranty but Sears doesn't sell them anymore. Jabil sells its electronics warranty repair business to iQor Holdings for $725m. SquareTrade says Washington DC residents are clumsiest tech users in the U.S.
Tire warranty: So simple, yet so complicated? Sandra Finn of Cross Country Home Services gets Bronze Stevie Award. Why buying a long warranty is just a waste of money. Consumers in Manitoba advised to know their rights about warranties & returns. Intercontinental Warranty Services develops new website. AmTrust stock declines after GeoInvesting challenges accounting. AmTrust Financial Services reports strong financial outlook. Just say no to gadget protection. Why extended warranties may be a good deal after all. NY attorney general asks wireless carriers about rejecting anti-theft technology. New home warranty law in Alberta inadequate, critics say. Brown & Brown purchases assets of O'Neil Financial Services Agency. Hyundai drops arbitration clause in warranty disputes. Securranty details new iPhone, iPad protection plans. Autoplex Extended Services faces more than 100 BBB complaints. Air Tractor announces new airframe & engine warranty. The impact of Ford's lengthening of its Service Parts Warranty to 24 months. Enphase: Anemic revenue growth with alarming warranty obligation growth. Harvey Normans fined AU$116,000 over dodgy warranty support. PC laptops and accidental damage: Best and worst warranties (updated). Toyo Tire U.S.A. Corp. improves its warranty policies. Choice Home Warranty accused of not paying claims. Global Warranty Group to provide handset protection in 325 Z Wireless retail locations. Dutch regulator ACM wants better information on mobile phone guarantees. JM Eagle to appeal loss of whistleblower court case over pipe failures.